In Cliff Wilson’s latest jury trial only two facts were not in dispute: that it was a wet and stormy night, and a young man rear-ended a woman’s car on I-205. 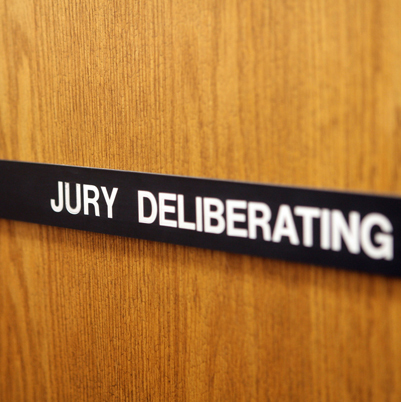 The rest of the liability case hinged on whether the jury would find the defendant’s accounting of events credible, or the plaintiff’s. When the plaintiff was unexpectedly able to establish the reasonableness and necessity of the plaintiff’s substantial medical treatment through cross-examination of the defense medical expert, Cliff managed to refocus the case and save his client from paying any of the $150,000 she was seeking in damages. Cliff’s client, a young father with a couple of kids, was cut off by the plaintiff, causing a rear-end collision. The accident happened at highway speeds and damage to the vehicles was moderate. The plaintiff was a nurse who had also been trained as a paralegal. No stranger to the legal world, she made numerous claims for damages including: extensive chiropractic treatment, physical therapy, massage therapy, wage loss and post traumatic stress disorder. The plaintiff’s version of events was that she was on her way to work when she switched lanes and slowed due to seeing brake lights ahead, and she was then hit from behind several seconds later. She claimed that she was 6-7 car lengths ahead of the defendant when she changed lanes, and that she used her turn signal. Interestingly, she stated that she saw brake lights all around her and knew that she needed to slow down, so she took her foot off of the gas (but did not brake), and “just coasted for 10-15 seconds to slow down”. There were several pre-existing injuries that affected the plaintiff’s health and complicated matters, including knee surgery and previous chiropractic treatment. The previous chiropractic treatment that she received was for injuries nearly identical to the injuries she claimed were related to the accident. Her chiropractic treatment relating to the accident included some highly questionable (and expensive) alternative treatment. She also claimed to suffer severe post-traumatic stress disorder, which her therapist stated was related to the accident. In rear-end accidents it is hard to win on liability if you are the defendant. This is because many people assume that if you rear-ended someone, then you must have done something wrong. Knowing that the jury might find against the defendant on liability, Cliff made an offer of settlement before trial. Plaintiff’s counsel told Cliff that he would not mediate, nor would he settle for anything less than Cliff’s client’s policy limits. The Friday before the trial was to begin the plaintiff came off of his policy demand, but still wanted more than the offer to allow. The defendant’s carrier rejected the reduced demand and told Cliff to proceed to trial. In a scene reminiscent of David and Goliath, Cliff and his very likable client faced off against a strong adversary consisting of several lawyers representing the plaintiff, many of the plaintiff’s friends, family and coworkers, multiple medical causation experts and an accident reconstructionist. It was a highly orchestrated effort to make a case for the plaintiff. During an especially effective cross-examination of the plaintiff’s doctor, Cliff made it apparent that this doctor was unfamiliar with his own patient’s medical history. His lack of knowledge opened the door to allow her prior medical history into the record, despite her lawyers’ attempts to keep that damaging evidence out. The plaintiff also called an accident reconstruction expert to testify. He testified that the accident could not have occurred according to the defendant’s version of events. He testified that the plaintiff could not have switched lanes quickly and braked, because that would have caused her to lose control of her car. Since the plaintiff never lost control of the car, he opined, the defendant’s version of events must either be flawed or defy the laws of physics. Nine plaintiff witnesses later, the case was well on its way to being a he said / she said mess, with each side arguing completely inconsistent versions of the events. The case came down to the credibility of the parties and their attorneys. On the third day of trial the plaintiff’s attorney was able to perform a damaging cross-examination of the defendant’s medical expert. It became clear that if the jury found liability against the defendant, then they would probably give the plaintiff all of her claimed medical expenses. Plaintiff’s counsel spent an hour and half on closing arguments. When the jury started to snooze the judge cut him off so that they could take a lunch break. Cliff, on the other hand, kept his closing short and sweet. He focused entirely on the most crucial aspect of the case, liability. He asked the jury to examine the credibility of the parties and their recounting of the events. In a bold move, Cliff showed the jury the verdict form, and had them focus in on the first question, which related to liability, and nothing else. Cliff asked the jury whether they felt his client was lying about being cut off by the plaintiff. If he wasn’t a liar, Cliff argued, then they should render a verdict in his favor. The verdict came in about 45 minutes after the jury began deliberations. The jury returned a complete defense verdict. Afterward, Cliff talked to the jurors about their deliberations (this is allowed in Clark County). The jurors said that ultimately they thought the plaintiff and her attorney were trying to sell them a story, and that Cliff and his client were just trying to give them the facts, and seemed more credible. This goes to show that you don’t have to have an army of experts to defend your case, just an honest accounting of events and an effective, credible strategy for presenting them.